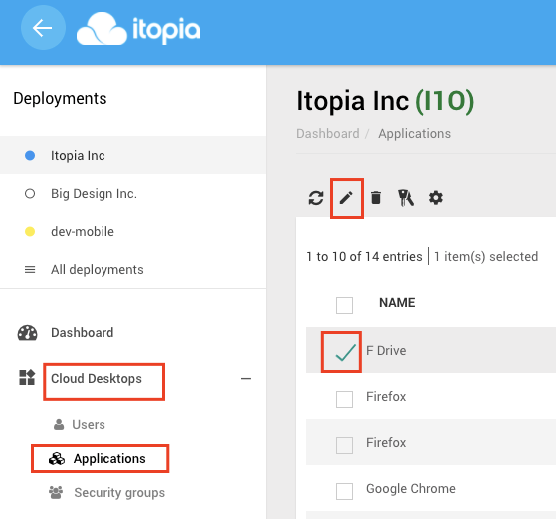 With itopia you have an option of giving a single application access to a user instead of provisioning the full cloud desktop. 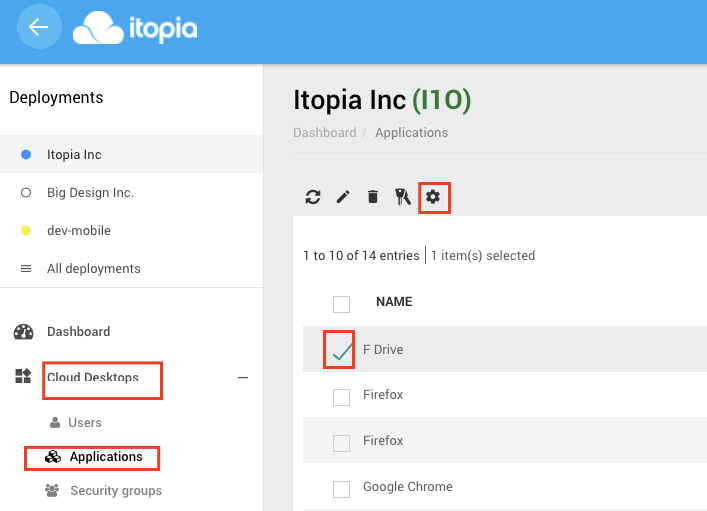 You can also select more than one application for this purpose or give user an access to a shared drive, all without giving user access to a full remote desktop. You can learn more about giving access to a remote app here. 3. 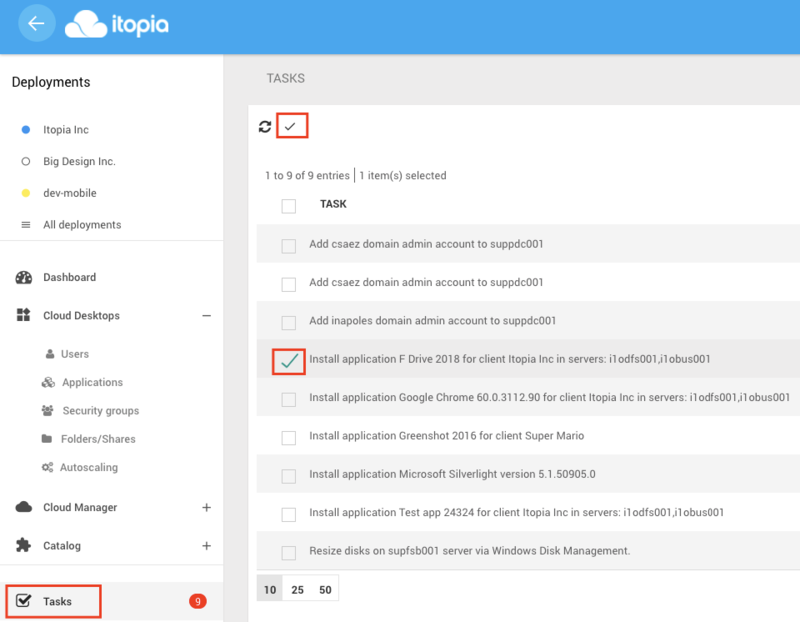 Complete app installation task. 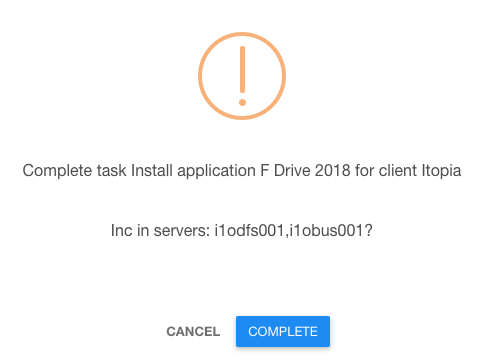 Since you just formally added the application so you can map the drive to it, you don't have to install anything in the server. Please note that the letter following /e, should be the letter you assigned to the share, in this example we used the letter K for the mapping, this will be different based on the shares you create.